At Characterising an unknown ferrite toroid an ‘unknown’ ferrite toroid was characterised. 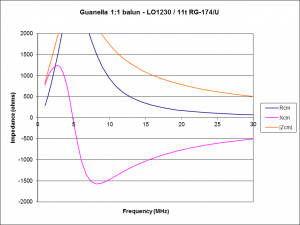 This article uses that information for design of a Guanella 1:1 current balun. The proposed design uses 11t of small coax wound in the Reisert ‘cross-over’ style. The impedance of a single turn vs freq was used to predict the impedance of an 11t choke. Such a choke exhibits a self resonance that can be represented as due to an equivalent shunt capacitance. This equivalent capacitance is not easily estimated, and can best be determined by calibrating an analytical model of the choke for the same self resonance as exhibited by a real choke. 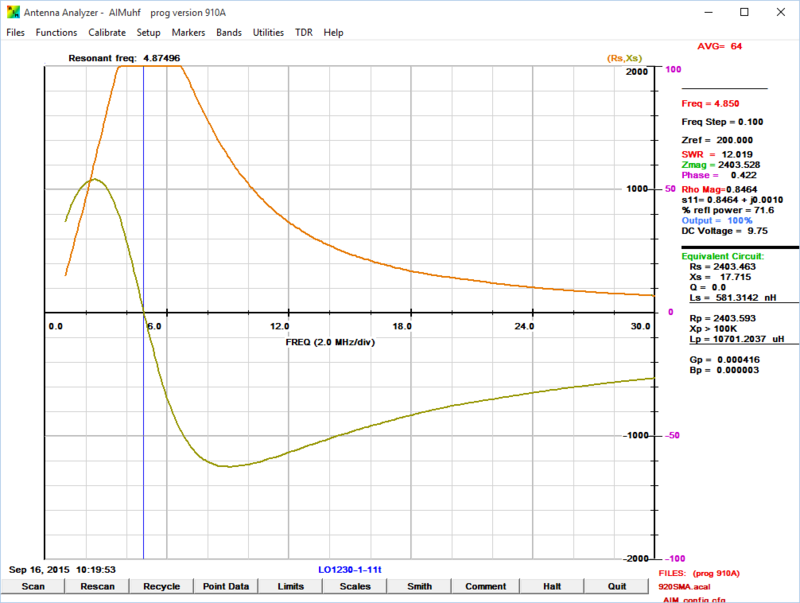 Above is common mode impedance from an analytical model of the choke, assuming an equivalent self capacitance of 11pF. Above, measurement of a real choke gives very similar results. This is a quite small core with very limited dissipation, but a choke with quite good choking impedance at the low end of HF. With up to 1W dissipation depending on acceptable temperature and encapsulation, it could be a quite practical balun for QRP (<5W) on the 80 to 20m bands. Duffy, O. 2006. 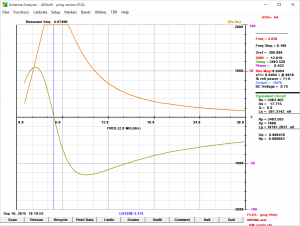 A method for estimating the impedance of a ferrite cored toroidal inductor at RF. VK1OD.net (offline). ———. Feb 2008. 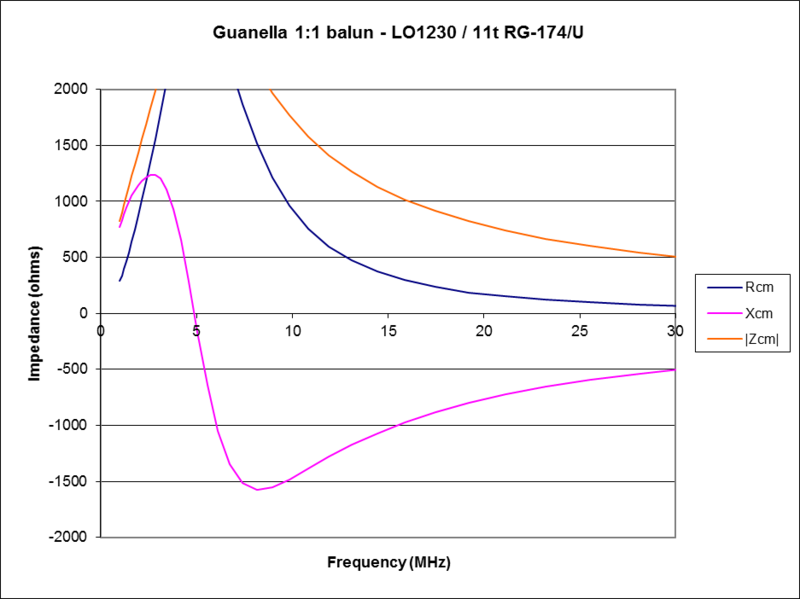 A model of a practical Guanella 1:1 balun. VK1OD.net (offline). Guanella, G. Sep 1944. New methods of impedance matching in radio frequency circuits. The Brown Boveri review.